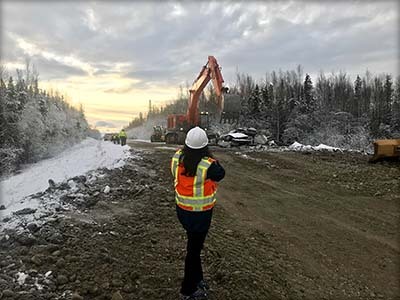 (ANCHORAGE, Alaska) – Matanuska-Susitna Borough officials and Alaska Department of Transportation & Public Facilities are partnering to restore and reopen Vine Road between Shady Grove Lane and Country Wood Drive. Vine Road suffered remarkable damage during the Nov. 30 earthquake that caused widespread impacts to property and infrastructure throughout Southcentral Alaska. 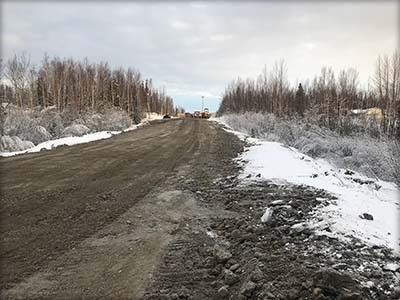 DOT&PF has assigned a construction manager to the project and is working with private contractor, Northern Asphalt Construction to start repairs.